Thanksgiving is tomorrow but somehow I’m here making Christmas gifts instead of pies. My husband is the cook of our family (like seriously, he makes dinner every night) so when I’m at the kitchen counter it;s usually for crafting. I’m trying to get ahead this holiday gift season by making teacher gifts early. 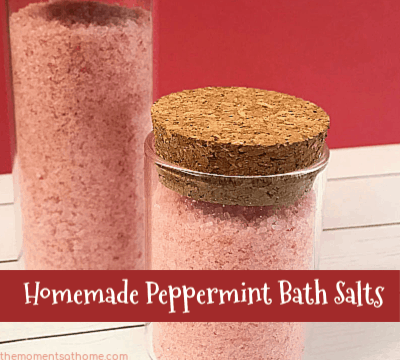 These peppermint bath salts go perfectly with these make-at-home shower vapor disks, or all alone with a gift tag. I like to give useful gifts that don’t stick around year after year, especially for teachers and co-workers. I don’t always know these people well so a usable gift makes us both happy. 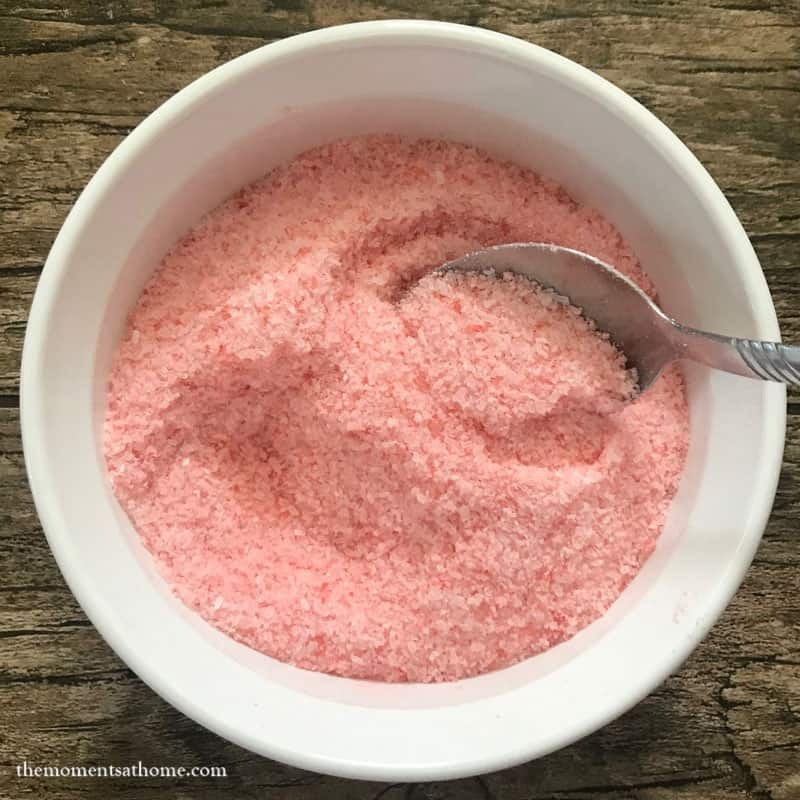 Pair these bath salts with a gift card for an extra treat. 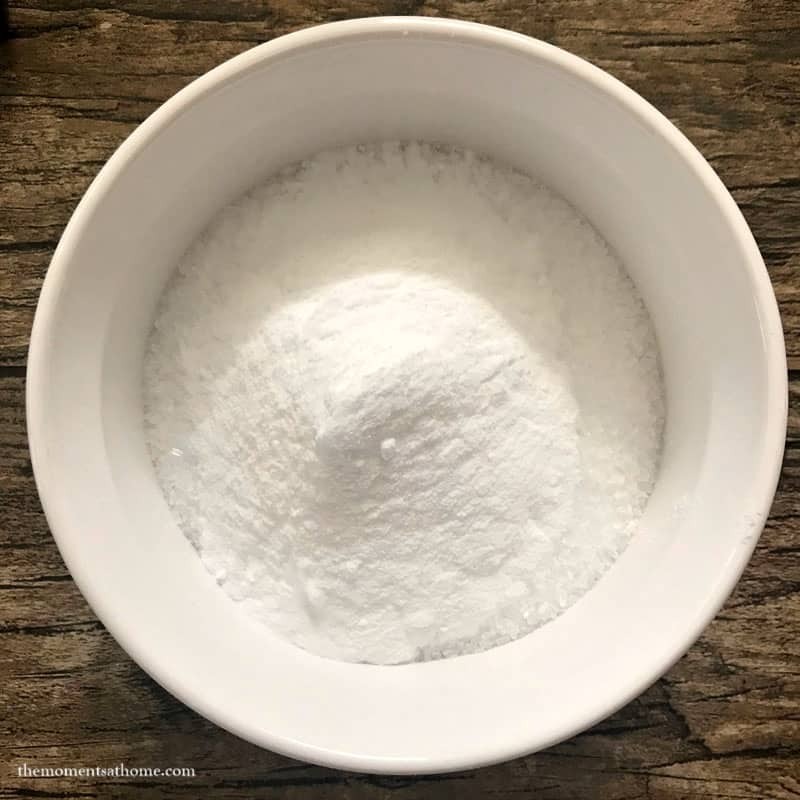 Mix the baking soda and Epson salts together in a bowl. Add 3-5 drops of red food coloring and stir. Add 3-5 drops of peppermint essential oil and stir. 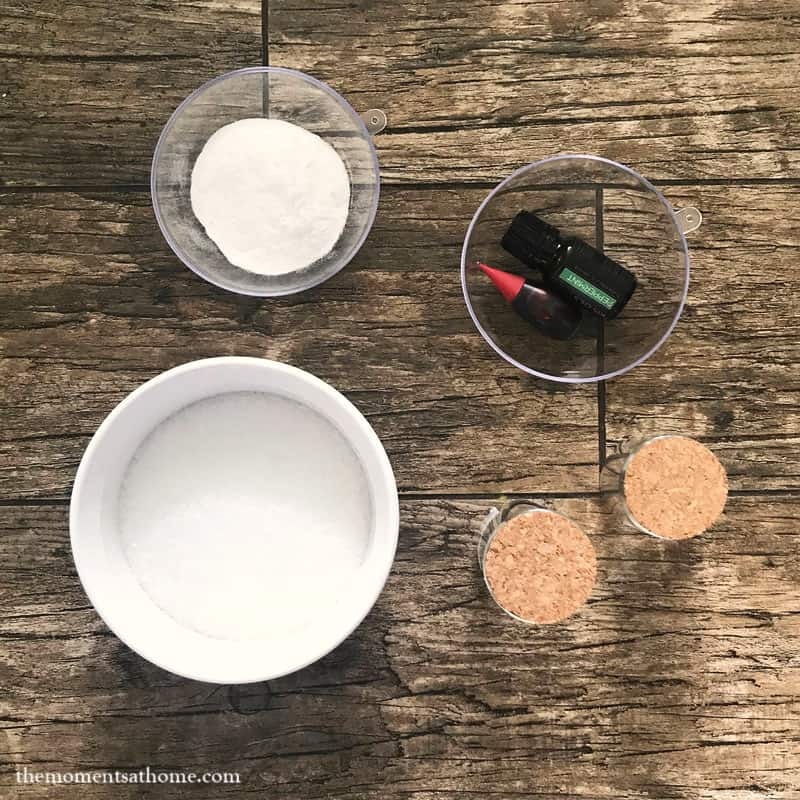 Pour the bath salts into small jars for gifting. 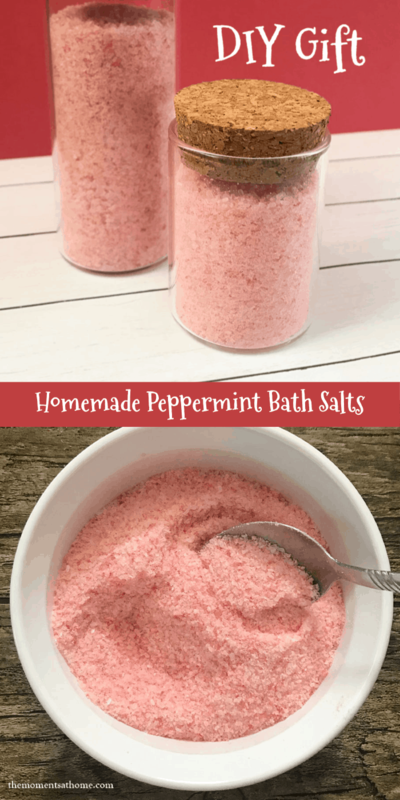 I know a few people on my gift list who would love to receive Peppermint Bath Salts! This is a great teacher gift idea. I craft all the time on the kitchen counter too! 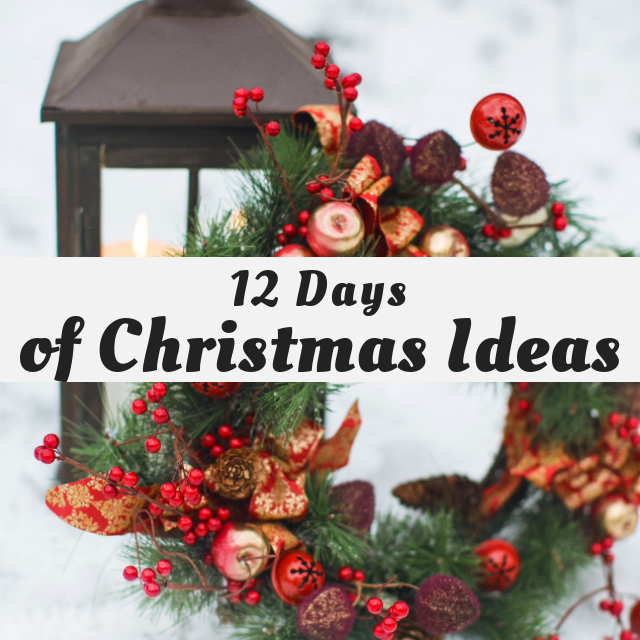 These would be the best way to relax after a busy day during the holidays! I’d be thrilled to receive these as a gift. I love quick, easy gifts like this! Especially as we get closer to Christmas and you suddenly discover someone you forgot to put on your list.